Since his arrival, Paul Heckingbottom has slowly but surely seen progress in his Leeds United side. After an unlucky 2-1 defeat to Yorkshire rivals Sheffield United, Leeds have since gone unbeaten against fellow promotion hopefuls Bristol City, Der​by County and Brentford - barring the recent, and seemingly anomalous, 3-0 thrashing at the hands of Middlesbrough. Leeds were even 2-0 down at home to ​Bristol City when a rapturous atmosphere at Elland Road surged the Whites to get two goals in the space of fifteen minutes, and the West Yorkshire outfit were inches away from snatching all three points when target man Pierre-Michel Lasogga smashed the bar with the final kick of the game. In their next game against Derby, Leeds would succumb to a late equaliser in a 2-2 draw, but the Whites played with a dogged determination that shows that when they want to, United can compete with the best in the league. 'Heck' finally got his first win against ​Brentford in a strong 1-0 victory at Elland Road. With the return of Samu Saiz, the playmaker who was banned for six matches after spitting, as well as Lasogga's inspiring form of late, the former ​Barnsley manager should not have been discounting a late play-off push. However, after succumbing to a Patrick Bamford hat-trick against ​Middlesbrough, Leeds' promotion hopes are now all but over. ​Leeds currently sit in 12th place in the ​Championship, a painful eight points away from the play-off places. United can only hope to build some momentum going into the next season, where Heckingbottom can surely buy in his own players and get rid of the deadwood that this Leeds team has. A brutally honest Paul Heckingbottom admitted there was a big gulf in class between the sides following Leeds' defeat to Middlesbrough. The Whites entertain Wolves at Elland Road this Wednesday, and if the Yorkshire outfit can get a result, 'Heck' will know that this Leeds side should be challenging next season. If Leeds are on the receiving end of a ​Wolves masterclass, however, the new boss will then know how arduous the task of promoting Leeds United is. After the Wolves game, United will then have three very winnable games against strugglers ​Reading, Sheffield Wednesday and ​Bolton. The new man will want to restore some pride around Elland Road, and nothing would be better for his approval ratings than a win against bitter Yorkshire rivals ​Sheffield Wednesday. Wednesday beat the Whites 3-0 earlier in the season, so Heckingbottom will know that Leeds owe them one. After last year's heartbreak where Leeds suffered a collapse in April that destroyed their play-off hopes, many fans of the Whites were left embarrassed by how early Leeds had decided to slip down the league table this year. When former manager Thomas Christiansen was sacked, Leeds were without win in seven matches, and it didn't look like their look would change. Heckingbottom has galvanised his players whilst ensuring that he will not tolerate under-performing players in his team. Even though Leeds will not make the play-offs this season, Heckingbottom and the Leeds faithful should not be too disheartened. The foundations are now seemingly there, and the new manager will know exactly where he needs to improve. The recent acquisition of Adam Forshaw from Middlesbrough cost Leeds £4.5m, but his performances have made him Leeds' standout player since 'Heck' took over. The midfielder's calmness on the ball as well as his incredible long-range passing have ensured that he is one of the first names on the team sheet. Saiz's return to the squad has also gifted Leeds with more attacking options, and it only took the Spaniard ten minutes to get his first assist after suspension when he put a fantastic ball through to Gjanni Alioski to finish against ​Derby. ANALYSIS: My statistical take on why Adam Forshaw is my favourite @LUFC player right now, and how he has become the leader Leeds have desperately needed. Unlike Christiansen, Heckingbottom is not scared to question his players. He has made no assurances that German 'keeper Felix Wiedwald will retain his place in the starting eleven after a number of under-par performances, and a new stopper may be one of Heckingbottom's priorities in the summer transfer window. Similarly, the new Leeds boss dropped Eunan O'Kane to the bench after a lacklustre performance against ​Sheffield United, and Kemar Roofe and Gjanni Alioski have also succumbed to Heckingbottom's ruthless streak. If a player is out of form, Heckingbottom will not play them. This no-nonsense attitude evoked from the new manager could be revolutionary for Leeds. 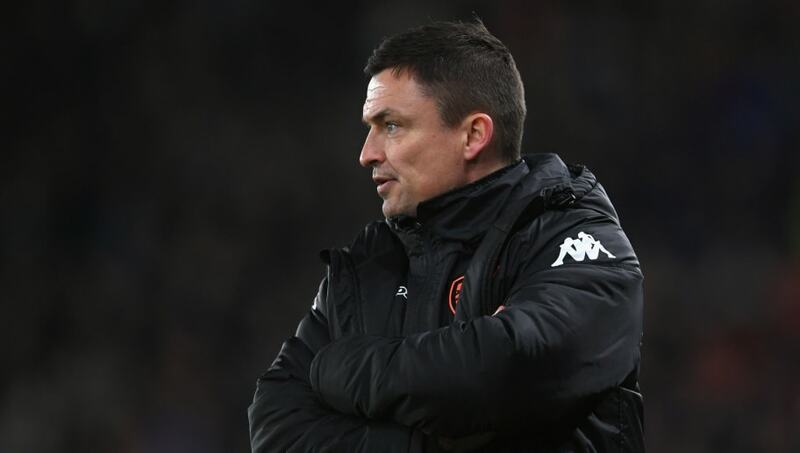 Looking to the future, Heckingbottom will know the players he wants to bring in, and will also gain a sense of the players he will let go in the summer. If he can keep hold of prized possessions Samu Saiz and Pontus Jansson, as well as signing up Lasogga to a permanent deal from Hamburg, 'Heck' could have a real go at promotion next season. A few additions could reinvigorate a Leeds team that has stuttered recently, and come next May, Leeds fans may have a new hero.